Program #HEDC012. Recorded in Boulder, CO on September 21, 2018. When is enough enough? In the face of evil what does it take for people to move from passivity to active resistance? Throughout history there have been instances of people defying tyranny. Fighting back no matter what the odds. An example comes from Nazi Germany, often considered the benchmark of evil. Opposition to the regime was highly dangerous. Seventy five years ago, Hans and Sophie Scholl, brother and sister, and others at the University of Munich said, Genug. Enough. They formed the White Rose movement and called on Germans to recognize their moral duty and overthrow the government. They disseminated critical information through flyers and graffiti. One such graffiti said, “Whatever comes out of Hitler’s mouth is a lie.” In 1943, Hans and Sophie Scholl were arrested and beheaded. Their resistance and courage are honored today. They took risks. Can we? 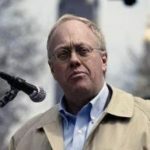 Chris Hedges is an award-winning journalist who has covered wars in the Balkans, the Middle East and Central America. 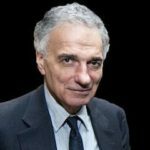 He writes a weekly column for Truthdig.com and is a senior fellow at The Nation Institute. He is the author of many books including Empire of Illusion, Death of the Liberal Class, The World As It Is, and Wages of Rebellion. This “podcast” needs to move into the 21st century and quit relying on “radio” and extremely high $5 per hour billings. If you want to spread the left wing story, why all the huge Profit Seeking gouging of the customers? Hedges is every bit a participant in the institutions and practices he rails against. His rants are all “holier than thou” utopian rhetoric. He proposes no materially constructive and realistic solutions to the world’s injustices and imperfections. His rants would indicate him to be a bitter and damaged person who seeks to foist his personal distress on humanity. A bleak look at where we (and the rest of the world) are going, but a thoughtful plea to work on it anyway. This is the best I’ve heard from Chris Hedges. He’s been excellent in the past but this distills all his virtues of knowledge, intelligent observation, realism, empathy, insight, and explanation. I heard this interview today while working at my local community radio station here in Bend OR, we air Alternative Radio weekly. I found this to be moving and motivating, I’m not willing to stop fighting injustice in all its forms even if all I have is my voice and vote, I feel encouraged to continue today. Thank you! I was flipping through channels on my car radio and came across this interview. (A 1st timer to alternative radio.) I listened to the entire program with my jaw open. A day later, I find myself still thinking of the content which was intelligent, honest, and bone-chilling. Is there anything that can be done to stop this ominous trajectory? I will be reading your booms, Mr. Hedges, and talking with my teens about this. Also, a very impressive literary knowledge of many applicable quotes to the theme. Great interview! I will be purchasing the transcript. May Humanity Prevail! Chris Hedges is the proverbial canary in the coal mine and not Chicken Little yelling the sky is falling… He is the real deal and people in the US and around the world need to wake up to this 1%’er’s charade or we will see the destruction of mankind in our generation! Capitalism is cannibalizing itself at the perils of the middle class and the working poor. Today, Iraq. Tomorrow . . . ?